You would be forgiven for thinking you had missed a new rule in Australian greyhound racing these past weeks. 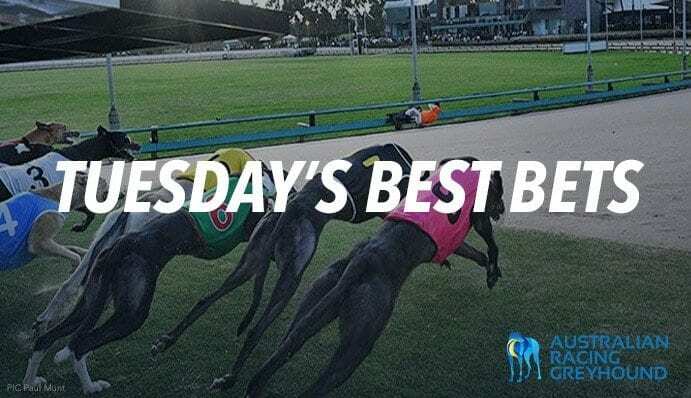 But apparently its not a rule that every greyhound track that starts with the letter “G” must race on a Tuesday, nonetheless here we are with Geelong, Gawler, Gardens and Goulburn all racing today. Grafton raced yesterday; and only Gosford and Gunnedah is missing but that’s a story for another day. Ironically the reason starts with a “G” as well …. GBOTA …. We’re declaring Tuesday’s greyhound racing Moral Tuesday. The ratings have found four morals racing in the country today, but we’ve selected two for our free tips. Nervous An Weird is a member of the red hot Barcia Bale x Father Of Mine litter that just keep winning everywhere. We can tell readers that members of this litter are among the highest rated greyhounds on the country, so expect them to go right through the grades. Nervous An Weird has drawn perfectly out in box eight, as like the rest of the litter; they can step a little slowly but have an extremely high cruising speed once they get going. Moral – just wins. Sportsbet are giving away money offering $1.75 on Nervous An Weird. Load up and use your PowerPlay. Stay awake to watch this pup race if you can. Second Avenue created a big impression running 22.43 in a Maitland PT, then winning on debut at The Gardens by 7.5 lengths in 22.56. For reference, the Gardens 400m track record is 22.32; although dogs rarely get close to the 22.50 mark. The ratings database, which only focusses on recent form; has only Harmat as a faster Gardens greyhound over this distance. Moral – just wins. Sportsbet are $1.20 currently and to be honest Second Avenue is one of the few genuine $1.20 chances you will ever see, especially from the rails box draw against this opposition.